New to Searchlight? Please start here. Searchlight operator can be installed via a script or as a Helm chart. After successful installation, you should have a searchlight-operator-*** pod running in the kube-system namespace. Searchlight implements a validating admission webhook to validate Searchlight CRDs. This is enabled by default for Kubernetes 1.9.0 or later releases. To disable this feature, pass the --enable-validating-webhook=false flag. If you are installing Searchlight on a GKE cluster, you will need cluster admin permissions to install Searchlight operator. Run the following command to grant admin permision to the cluster. 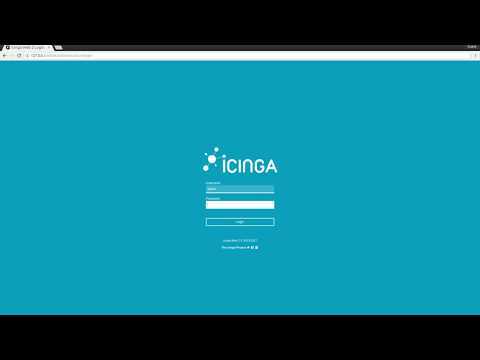 Icinga comes with its own web dashboard called IcingaWeb. You can access IcingaWeb on your workstation by forwarding port 60006 of Searchlight operator pod. Now, open URL http://127.0.0.1:60006 on your browser. To login, use username admin and password changeit. If you want to change the password, read the next section. Searchlight installation scripts above creates a Secret called searchlight-operator to store icinga configuration. This following keys are supported in this Secret. To change the admin user login password in IcingaWeb, change the value of ICINGA_WEB_UI_PASSWORD key in Secret searchlight-operator and restart Searchlight operator pod(s). appscode:searchlight:edit admin Allows admin access to Searchlight objects, intended to be granted within a namespace using a RoleBinding. This grants ability to create incidents manually. appscode:searchlight:edit edit Allows edit access to Searchlight objects, intended to be granted within a namespace using a RoleBinding. appscode:searchlight:view view Allows read-only access to Searchlight objects, intended to be granted within a namespace using a RoleBinding. # Describe Searchlight object. Very useful to debug problems. To detect Searchlight version, exec into the operator pod and run searchlight version command.